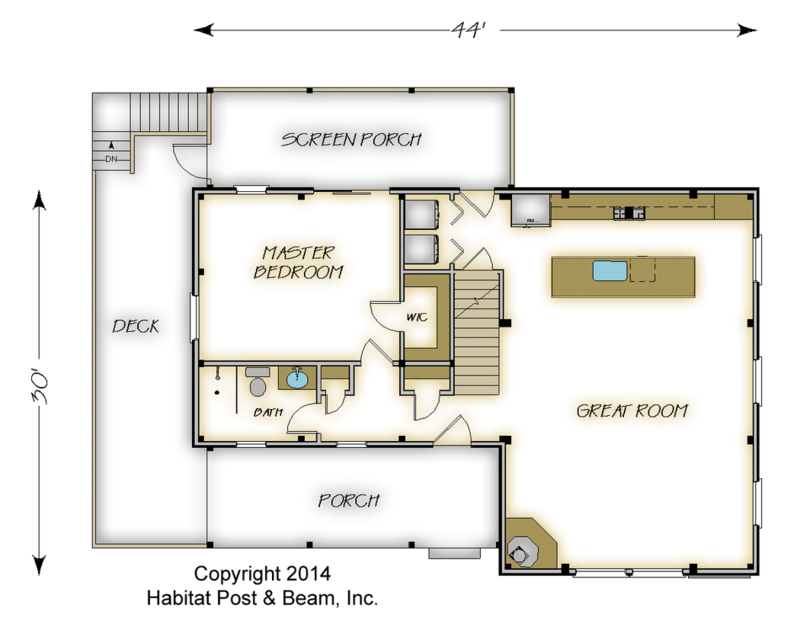 This small home design has 1 bedrooms and 2 full baths. 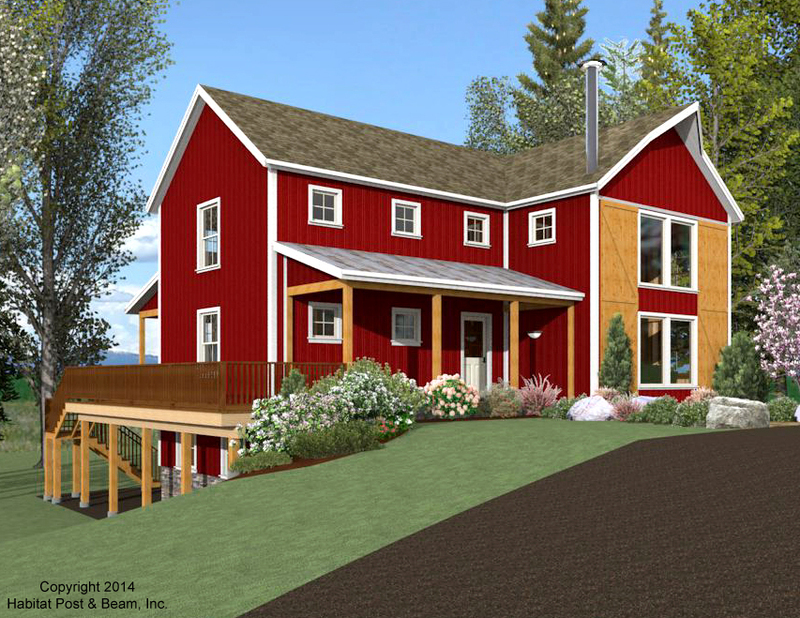 At 1,566 square feet, It has a contemporary, country feel, with front and rear porches, picture windows, and vertical siding. 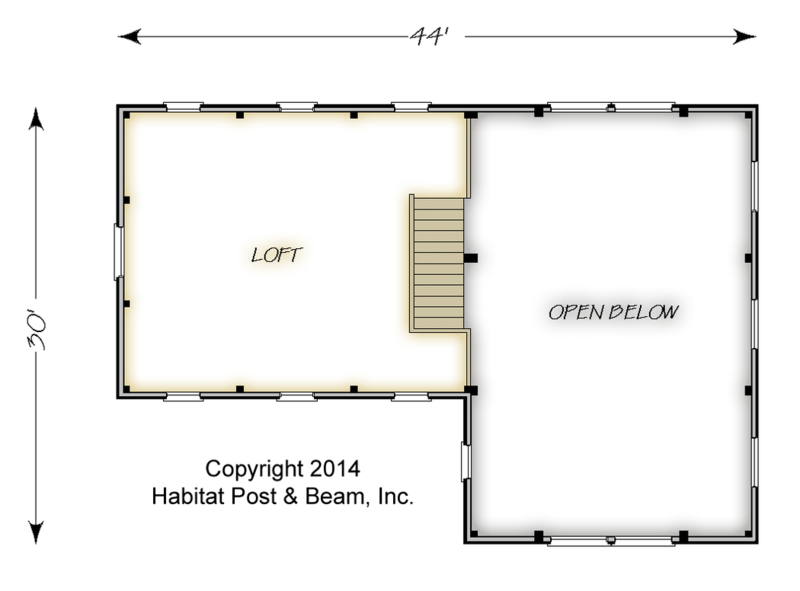 The design could easily change the loft space to include one or two additional bedrooms. Most designs can be adapted to add or remove walkout basements, garages, porches, etc., as desired, (framing materials by owner/contractor). 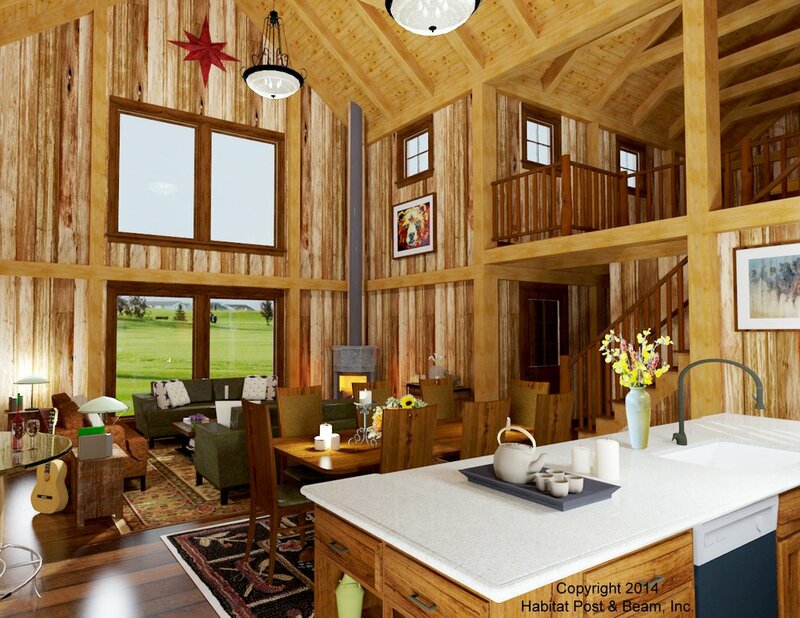 Package Price: $162,000 as specified below (from $131,500 to $166,500 depending on framing options). The standard price includes our Full Exposure Wall System with Knee Braces, Plaster and Beam or Beamed Mid-Floor System (same package price), and our Beamed Roof System. The entry and rear porches are our Liner Porch System with flat ceilings.